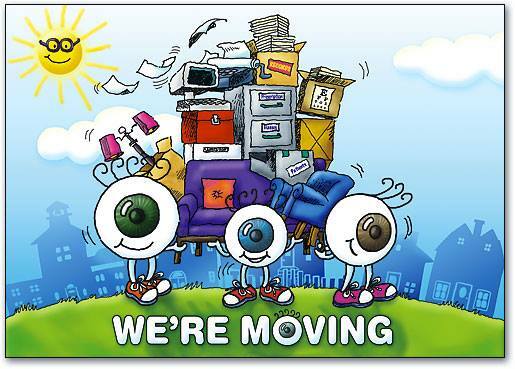 Most optometrists in Burbank can provide you with an exam that will help to improve your vision. Although good vision is essential, you should also feel comfortable in your eyewear or contact lenses. The best optometrists provide a wide array of designer glasses, sunglasses, eyeglasses, eyewear, and contact lenses. At Eye Candy Optometry and Eyewear in Toluca Lake, right down the road from Burbank, we strive to bring you the most comprehensive collection of eyewear and contact lenses available today. We hand select our eyewear and frames for looks as well as quality. Many of our frames are environmentally friendly and are made from sustainable materials. Whether you live in Toluca Lake or Burbank, you need the best, most thorough examination available to ensure that your vision is as crystal clear as it can be. Dr. Rabbani provides state of the art, comprehensive examinations for his patients, whether they are having a routine annual exam or whether they wish to be fitted for contact lenses. We strive to make your visit as efficient and enjoyable as possible so you can go back to your busy schedule as soon as possible. 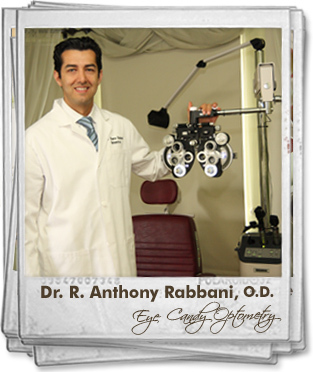 Dr. Anthony Rabbani, O.D., earned his doctorate at the New England School of Optometry in Boston. Since graduation, he has helped thousands of patients from Burbank and surrounding cities attain clear vision and select eyewear or contact lenses that is ideal for their needs. Dr. Rabbani also provides a number of surgical procedures when patients need them. Whether you need corrective surgery for cataracts or LASIK, Dr. Rabbani has the experience and qualifications to get the job done right so you can see clearly. Pink eye is a highly contagious eye infection that affects most people one or more times in their life. This infection can be caused by either bacteria or a virus, and it spreads quickly and easily from person to person when the patient comes into contact with the germs and then touches or rubs their eye. If left untreated, pink eye does serious damage to the eyes and vision. Dr. Rabbani provides emergency services for patients who have contracted pink eye, allowing them to get rid of the infection as quickly as possible before their vision becomes damaged or before they spread the infection to others.